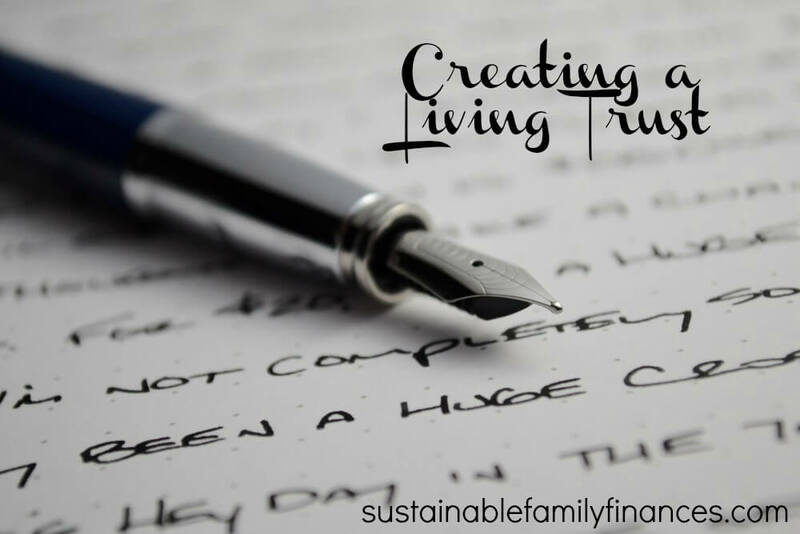 As I get my financial and legal affairs in order, I’ve also taken the plunge and created my own living trust. This came about over the course of the last year or so, considering how I would want assets to be passed down to Clark and others. With my divorce, I’ve also had other legal changes that need to be recognized and dealt with (deeds changing over, moving bank accounts, finalizing taxes, etc), so the timing seemed right to deal with such matters. A living trust is essentially your estate. This makes it clear what your requested asset allocation would be in the event of your death. It is also a way to avoid probate and make things easier for your family and ensure that your wishes are honored and that your family is planned for. It has been helpful for me to consider how I would want my finances to be dealt with, and what I would want to go to various folks. Of course, we all want to live to a ripe old age, but planning for the possibility of death is essential to not only yourself, but also your family. I also have an interesting situation of wrapping this process up with a new partner. I started this process last December. In fact, between the time of making the appointment to talk about creating a living trust, and having the conversation with my lawyer, things had shifted in my life to the extent that I asked about how to plan for the possibility of a divorce. Now, as I end the process, I find myself in a new relationship that I see myself being in for the long term. I would have been planning for the possibility of such a relationship, but actually having the different scenarios in front of you is a bit different. The other reason to have a living trust is to help plan for avoidance of taxes. Luckily with the estate taxes as they are, and the number of people that I would leave various assets to, it would be unlikely for any of my benefactors to face taxes unless I have considerably more than I have today (which is hopefully the case). It definitely feels like I have my big girl pants on when planning for my trust. I created my first will when I left to Afghanistan in 2007, but articulating my wishes and looking at my finances in more details has been a helpful process. Similar to my views on a prenuptial agreement, I find it very helpful to have a plan for what you’d like things to look like in various situation or scenarios. What might change over the next ten to twenty years? It’s good to be prepared. A big thanks to Lori Beight at Cascade Legal Planning for her help in setting up my trust. Do you have a will or a living trust? Please leave us a comment to share about your process. This entry was posted in abundance, finance tips, Yippie on November 3rd, 2015 by Ms. Miel.